State investigators vetting Plainridge Racecourse for a slot parlor license discovered that track president Gary T. Piontkowski made personal cash withdrawals from the struggling track’s money room “almost on a daily basis” for years. 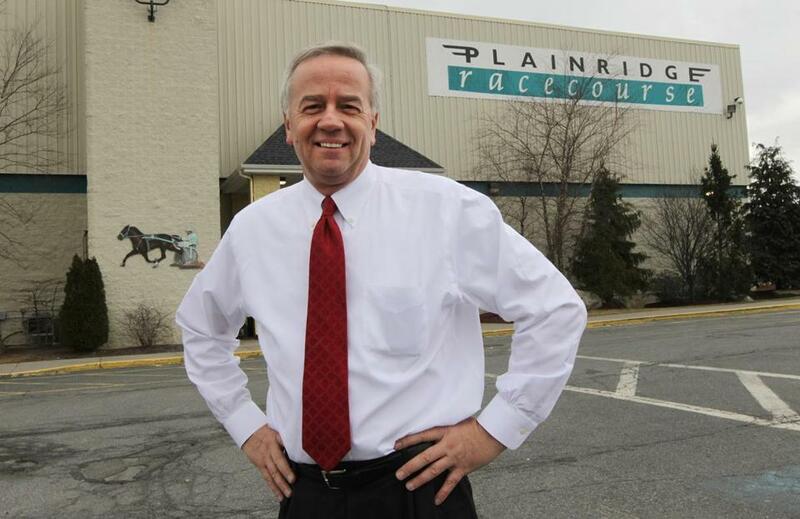 State investigators vetting Plainridge Racecourse for a slot parlor license discovered that track president Gary T. Piontkowski made personal cash withdrawals from the struggling track’s money room “almost on a daily basis” for years, a red flag that apparently led to Piontkowski’s abrupt resignation in April. At the time of Piontkowski’s departure, Plainridge suggested he had retired and sold his stake in the venture due to health concerns. But a report from the investigative arm of the state gambling commission reveals that — after meeting with investigators and reviewing Piontkowski’s conduct — the track’s majority owners “decided that it was not in the company’s best interest to have Piontkowski remain as president,” according to a copy of the report obtained by the Globe. Investigators were unable to confirm whether the track’s majority partners had knowingly approved the withdrawals, the report states. Multiple efforts to reach Piontkowski, of Rhode Island, were unsuccessful Wednesday. For decades he had been one of the most prominent names in the Massachusetts racing industry. He headed the state racing commission in the early 1990s and later helped found Plainridge, a harness racing track that opened in 1999. He was the charismatic public face of the track’s long effort to win the right to add slot machines, and seemed enormously proud last year when Plainridge became the first applicant to pay the mandatory $400,000 fee to apply for a state casino license. His abrupt departure in the spring was a shock, coming just months before the commission intended to award the coveted license he had worked years to earn. “I am deeply grateful to my business partners at Plainridge for their faith and support as well as for their understanding for this personal decision,” Piontkowski said in an April statement issued by the track. Piontkowski was replaced by John Grogan, a graduate of Harvard Business School and a former consultant for Plainridge. Grogan swiftly took steps to revamp internal controls and policies, according to the report, which the state gambling commission is expected to discuss at a critical hearing Thursday morning. A redacted version of the investigative report will be released during the hearing. The revelations could affect the track’s pursuit of Massachusetts’ sole slot parlor license, which will be awarded through a competition among five well-heeled developers and gambling companies. Each applicant must pass an intensive background check, designed to weed out companies with shaky finances or questionable corporate ethics. It is unclear how the commission will address the cash withdrawals. The panel has the power to disqualify an entire application or impose conditions; the other key people in the Plainridge venture were positively reviewed by investigators. Representatives of both the commission and of Plainridge declined to comment before the report is released. What seems clear in the report is that Timothy Petersen, the chief financial officer for the track and Ourway Realty, the corporate entity under which Plainridge is seeking the slots license, grew uncomfortable with the money room practices and tried to bring attention to the withdrawals. In their report, investigators said that Plainridge recorded Piontkowski’s cash withdrawals in its accounting books, classifying the withdrawals as money Piontkowski owed the business. The revelations tied to the former president could affect Plainridge Racecourse’s pursuit of Massachusetts’ sole slot parlor license. “When this money was not repaid, it was re-characterized at the end of each year as a ‘distribution’ to Piontkowski” over and above his regular pay, the report states. “When questioned further . . . about these withdrawals, Petersen again stated that he did not feel that, at the time of their occurrence, it was his place to bring this practice to the attention of Ourway majority owners” Alfred Ross or Stanley Fulton, the report states. Petersen indicated to investigators that he had trusted that Piontkowski had received approval from the partners. However, due to his ongoing concern, Petersen several years ago asked the track’s outside auditor to “prepare a letter each year listing the annual withdrawals taken by Piontkowski and request approval of the majority members, Fulton and Ross, to treat as a distribution to Piontkowski,” the report states. The outside auditor told investigators the letters were prepared and submitted annually to Piontkowski beginning in 2008. “However, the outside auditor indicated that although these letters were submitted to Piontkowski each year, it was not until February 2012 when he actually received the letter back signed by Fulton and Ross,” the report states. “Although the investigation confirmed that such money room distributions did occur, it could not definitively confirm whether such distributions were knowingly approved by Fulton. Ross told investigators that “there had been too much control vested in Piontkowski,” the report states. The state’s 2011 casino law created licenses for three resort casinos and one slot parlor. Though limited to 1,250 slot machines and no table games, the slot license has become the most sought-after casino license in the state. Town officials in Plainville, where Plainridge is located at the junction of Interstate 495 and Route 1, have signed a deal with the track that would permit it to compete for the license, if voters approve the deal at a September referendum and the track clears the background check. The commission has already reviewed background reports for The Cordish Companies, seeking to build a slot parlor in Leominster, and an affiliate of Rush Street Gaming, which intends to build in Millbury. The panel approved those companies as bidders. The panel on Friday plans to discuss the background report for Raynham Park. The final slot applicant is Penn National Gaming, planning to build in Tewksbury. Penn’s background check is still underway.